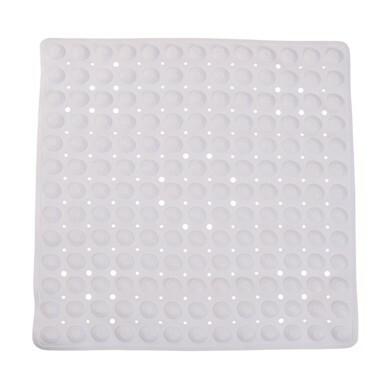 • Suction cups anchor the mat to the tub or shower floor on flat, smooth surfaces. Be sure to test its adherence to the floor before each use. • Provides cushioned comfort for sitting or standing. Drain holes help prevent water buildup.